Madeleine Thien's new novel is breathtaking in scope and ambition even as it is hauntingly intimate. With the ease and skill of a master storyteller, Thien takes us inside an extended family in China, showing us the lives of two successive generations—those who lived through Mao's Cultural Revolution in the mid-twentieth century; and the children of the survivors, who became the students protesting in Tiananmen Square in 1989, in one of the most important political moments of the past century. 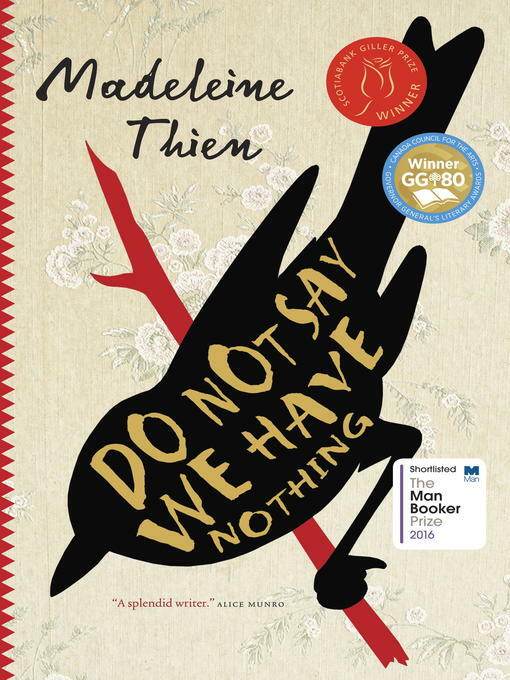 With exquisite writing sharpened by a surprising vein of wit and sly humour, Thien has crafted unforgettable characters who are by turns flinty and headstrong, dreamy and tender, foolish and wise.